Orthodontic treatment provides patients with a range of corrective procedures for a wide variety of problems. For example, many children with narrow jaws, deep overbites or retracted lower jaws can suffer such problems as headaches, neck pain, dizziness and earaches, to name a few. Orthodontic treatment can prevent or eliminate these problems. While it is never too late to correct most orthodontic problems, early detection and treatment in children is key to proper facial development. Early treatment also allows these problems to be corrected in a fraction of the time that it will take later, once physical maturity is complete. Orthodontic treatment can help correct bite problems, underdeveloped jaws, narrow arches, crowded teeth and a long list of similar problems. Treatment in children can also prevent removal of adult teeth, fang-like tooth appearance, lengthy use of braces and speech difficulties. Fifth Avenue offers orthodontic treatments for people of all ages. For children, we offer a two phase treatment approach. From ages 5-12, appliances are used to correct functional problems, such as airway deficiencies, finger/thumb sucking, and jaw positioning. 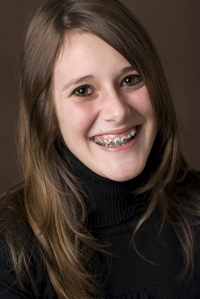 From ages 12-14, braces are used to straighten teeth in as little as a 1-2 year period. Let us meet with you to discuss you or your child's orthodontic needs. This initial consultation is completely free of charge.